Water ionizers sold today offer either flat , MESH, or GRID plates. Life Ionizers offers both flat plates and heavy duty GRID plates. GRID plates are the most durable plates made because they are drop-forged. MESH and flat plates are made of cast metals, which are weaker and wear out sooner. GRID and MESH plates make alkaline water with higher alkalinity and antioxidant potential than flat plates because they provide more surface area for water to flow over. Companies like as Enagic® only offer flat plates in their ionizers. Enagic’s flat plates are so inefficient that you actually need to add chemicals to the water to get the same high alkalinity you get without chemicals from a machine like a Life Ionizer with MESH plates. Factors affecting plate performance: The type of plate used in an ionizer makes a big difference. Ionizers that use GRID or MESH technology operate more efficiently than ionizers with flat plates due to something called The Faraday Effect: Electrons prefer to travel along edges rather than on flat surfaces. GRID and MESH plates have a huge amount of edge surfaces for electrons to travel on, flat plates have no edge surfaces, so energy has a hard time traveling along them. The edges of GRID or MESH plates are where most of the electricity that ionizes your water is transferred into the water. Another factor working in GRID and MESH plates favor is that water is in contact with the plate’s edges longer, so more ionization happens. 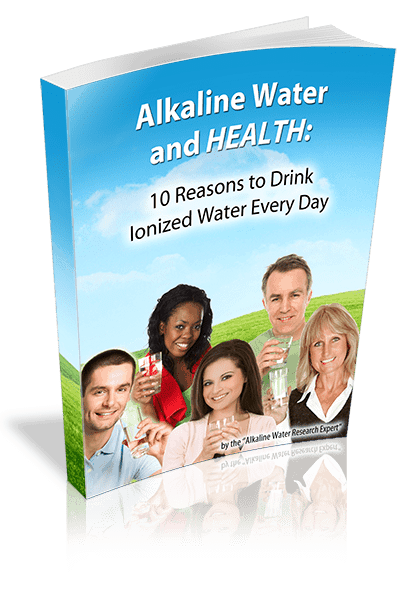 These two factors create stronger alkaline water with more antioxidant potential. Beware of water ionizers that use dangerous chemicals! 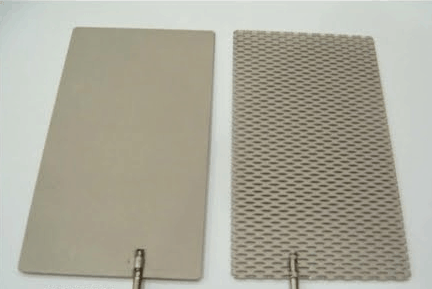 Flat plate ionizers such as those sold by Enagic® have no edge surfaces for electron travel. Electrons are forced to travel on the smooth surface of flat plates, and that hinders their ability to transfer energy to the water. To overcome the resistance of flat plates, ionizers such as Enagic’s® Kangen Water machine add dangerous chemicals to the water they produce to increase the electrical conductivity of the water. Enagic uses a chemical called calcium glycerophosphate, a drug which if used without medical advice can cause nausea, bloating and even kidney stones. GRID and MESH equipped ionizers do not require additive drugs like calcium glycerophosphate to produce acceptably high pH and –ORP levels. Hard water will void your Enagic Warranty. If you use a Kangen Water machine with hard water, it can void your warranty. 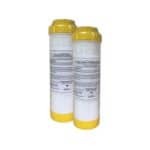 Enagic requires that if you have hard water, that you must purchase a prefilter system at substantial additional cost. 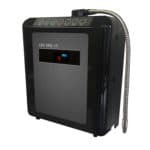 You also have to manually clean a Kangen Water machine every six weeks, because the plates in a Kangen Water machine get plugged up with hard water deposits easily. 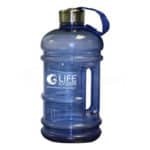 Life Ionizers work great with hard water: Any type of plate can be fouled by hard water, but that is something that is easily addressed with proper anti-scale systems. All Life Ionizers come standard with our Clean-Tek anti-scale technology which prevents hard water scale from building up on the plates. Our machines also have our Dual Action Reverse Cleaning technology which automatically maintains your Life Ionizer at optimal performance levels. GRID plates provide superior hard water performance If you have hard water, Life Ionizers recommends you equip your ionizer with heavy duty GRID plates, because these plates are drop-forged. That makes them much stronger than flat or MESH plates. Life Ionizer’s GRID plates also have eight coats of platinum for maximum durability. FACT: Life Ionizer’s GRID plates are so tough, we unconditionally guarantee them for life!